ACAL conference Sydney, UTS Aerial Function Centre on 4, 5 and 6 October 2019. 8. Have you read it? thinking about the 2019 ACAL conference as planning gets underway: Pencil in the 3-5 Oct in your diary and join us in Sydney! asking you to consider nominating a teacher whose work is making a difference for the Excellence in Language, Literacy and Numeracy Practice Australian Training Award. Applications close 31 May 2019. You can find out about the award and nominate here: Australian Training Awards. Reflecting on the Sept 2018 conversation starter by committee member Debra Urquhart, we are again considering how and why literacy and numeracy teachers are impacted by being in the VET space. March has been a frantic time for many in the VET sector as they work toward completing the TAE Certificate lV upgrade. There was a collective sigh of relief across the country when the deadline was extended from 1 April to 1 July this year. It will be good to have the upgrades completed so full attention can return to students and meeting their needs, although with the reporting and paperwork requirements imposed by national, state, funding and RTO compliance overseers is there ever really a time when that happens? The ACAL committee also continues to discuss the qualifications that should be required to deliver the Foundation Skills Training Package (FSK). ACAL's position is that content knowledge is required. Consideration of the FSK qualifications has also turned our attention to rural and remote adult LN, particularly the lack of formally qualified teachers in those areas. A practical and ethical question arises: Should qualifications required for teaching adult LN in rural and remote areas be lowered because any education is better than none? Alternatively, should the entire adult education field put pressure on state and federal governments to adequately fund remote and rural adult LN education, including incentives to attract more teachers and to create opportunities for those interested in rural and remote work to obtain specialised skills and qualifications? Interestingly the Closing the Gap report does not take adult LN into consideration, although we know becoming literate and numerate has flow-on social and community benefits beyond the individual. The consequence is little funding for the space. Through reading materials published last year as the Government undertook an Independent Review into Regional, Rural and Remote Education, it becomes apparent that the issues and concerns are not unique to the adult LN sector, but are widespread. a peer reviewed academic paper presentation for which additional requirements apply. All presentation sessions will be 40 minutes. ACAL submitted a statement on FSK trainer and assessor qualifications to the FSK Training Package review. The committee put forward the position that content knowledge needs to be referred to in the descriptions about trainer and assessor requirements. Details about what ACAL considers to describe content knowledge is outlined in the response. Ai Group are completing a pilot project called ‘Laying Foundations for Apprenticeship Project’, funded by the NSW Department of Industry. The target group is apprentices and the aim is to increase their workplace literacy in an effort to increase retention. A formal report won’t be released until around July but in the meantime AiGroup have kindly shared some information about the project. Contextualised support for LN, particularly in the workplace and not necessarily related to study, has been an area of little funding since the demise of the WELL program so this pilot is of high interest to people concerned with adult literacy. We look forward to the final report. The Hotline is very proud to be celebrating its 25th birthday with an event at the NSW State Library in Sydney on April 15, 2019. Since it began in 1994 the Hotline has helped over 160,000 callers by providing adult literacy and numeracy referral, information and advice. If you haven't already done so, please take a moment to complete our short online survey to tell us about your adult literacy and numeracy context and the issues that matter to you. We will share the results in the following newsletter. Following our face to face meeting in February, ACAL contacted a number of politicians to put some questions to them about adult literacy and numeracy. The major parties were contacted, along with independent MPs. As we receive responses, we will share them in our newsletters. Here's what we asked them. As an adult, have you engaged in any formal learning? How did you find the experience? What do you envisage are the challenges and opportunities for adult literacy and numeracy learners in Australia? 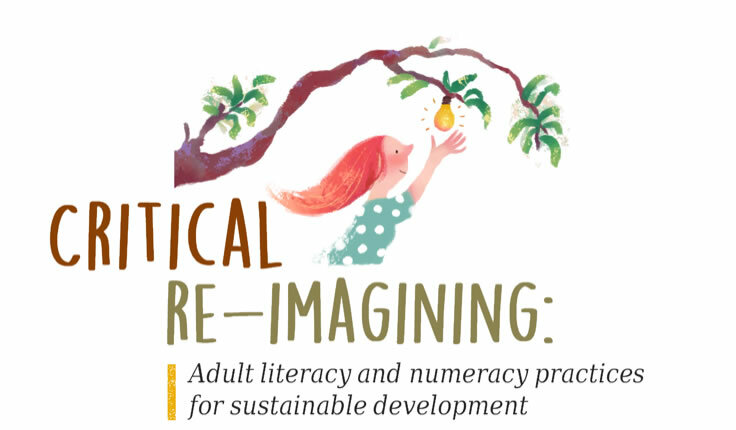 What role does adult literacy and numeracy play in Australia's future? A number of other countries have policies on literacy and numeracy for adults. What do you think we can learn from these nations? Do you think Australia needs a new policy on adult literacy and numeracy? Here's the response received from the Office of Dr Mehreen Faruqi, Senator for NSW with the Australian Greens. Rosie Wickert, whose particular area of expertise is adult language and literacy education policy, has contributed documents to the ACAL Archive at the Mitchell Library. The archive can be accessed by the public. Rosie’s extensive involvement in adult literacy included the ground breaking first national survey of adult literacy in Australia in 1989, ‘No Single Measure’. If you’re looking for resources to engage your students in civics and citizenship, check out the Parliament of Victoria website. You’ll find EAL and Adult Literacy & Numeracy workbooks, a series of units aligned to CGEA, lesson plans for years 3-10 that you can adapt, and short videos and animations on everything from how a law is made to the role of the Governor, and a whole lot more! 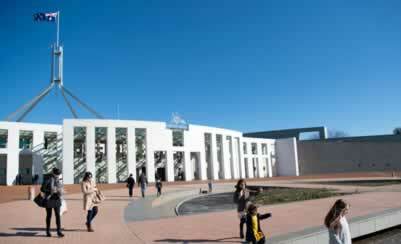 You can also bring your students in to Parliament House for a tour. WAALC is pleased to announce Karen Dymke has accepted our invitation to speak at the conference. Her keynote 'I am Capable: Helping students identify and find their developing capabilities and skills' will focus on the important issue of building and recognising interpersonal and intrapersonal competencies in our students. President, Caralyn Lammas has recently been appointed to the Education and Service Sector Industry Skills Council, representing SACAL. SACAL has been participating in the new MoneySmart program about on-line training for educators as well as a suite of online resources. Educators SA has won the contract with the Minister to deliver MoneySmart training for educators in SA and 15 committee and members have done some of the MoneySmart online training modules and have earned $1,500 for SACAL! The feedback was that the training was informative and valuable for those working in LLN and also ESL. Thanks to those who have already renewed.